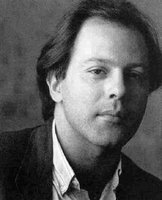 John Fanagan writes : "I have just finished my third novel this year by Javier Marias, Tomorrow in the Battle Think on Me. The translation (like the others, from Spanish, by the same translator) is excellent and makes his unusual style (immensely long paragraphs and frequent digressions) very accessible. It opens with the married lover of the narrator dying suddenly in his arms as her young child is asleep in an adjoining room. The story is not all gloom, though, and there is one hilarious chapter which features a meeting with the King who is referred to by a series of nicknames (Only the Lonely, The Lone Ranger...). Marias is a writer unlike most others and is well worth trying." See his website here, including an English section.